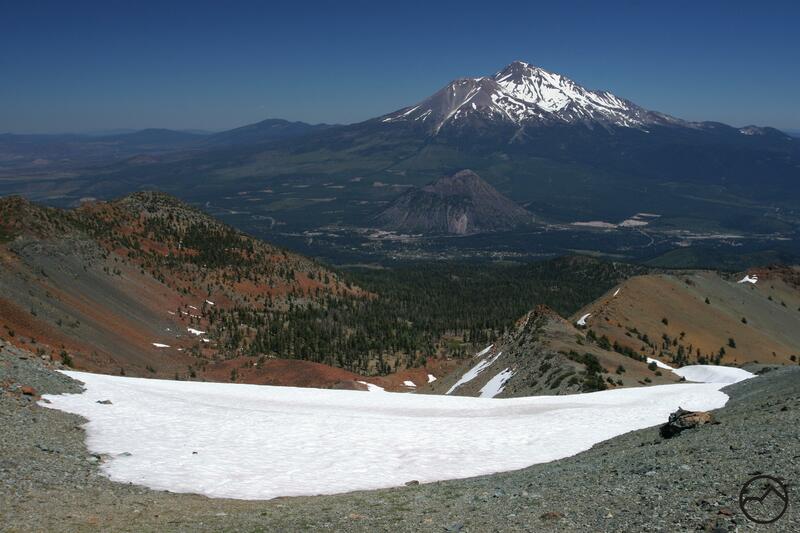 Herd Peak offers incredible views of Mount Shasta from the north. 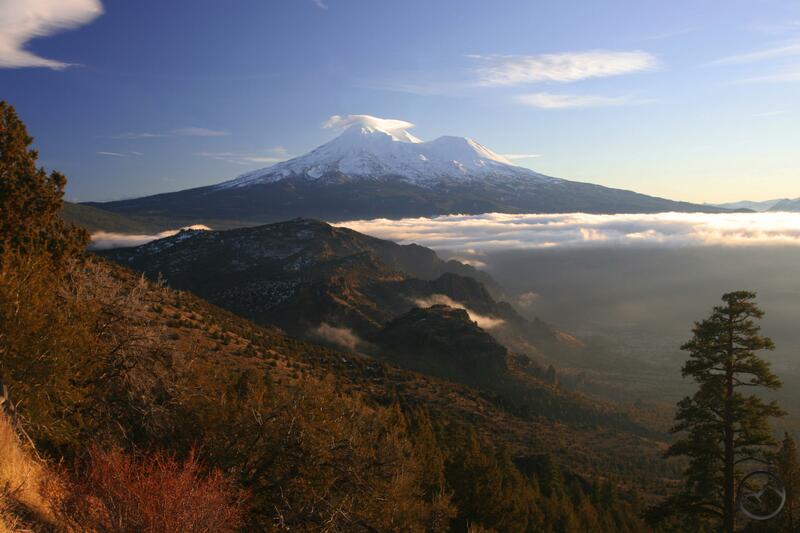 Mount Shasta is a lone giant, towering more than a vertical mile above its highest neighbor. Since the massive volcano is so prominent, it is not difficult to enjoy the incredible views of California’s finest mountain. All one has to do is take a drive on I-5 or Highway 97 to find absolutely tremendous scenes of Mount Shasta soaring 10,000 feet overhead. This gives even the casual traveler passing through the area a good sense of the mountain’s majesty. However, one of the great pleasures of exploring the Mount Shasta region is finding those great vistas that offer different perspectives of the mountain and also place it within the broader context of the entire region. The truth is that, as wonderful as Mount Shasta is, there is no shortage of spectacular scenery surrounding the mountain. Whether it is the Trinity Divide and the Castle Crags, the southern Cascades and Lassen Peak, the serrated granite spires of the Trinity Alps, the twisted and beautiful Marble Mountains, or distant Mount McLoughlin in Oregon, there is an abundance of other high country attractions to appreciate. 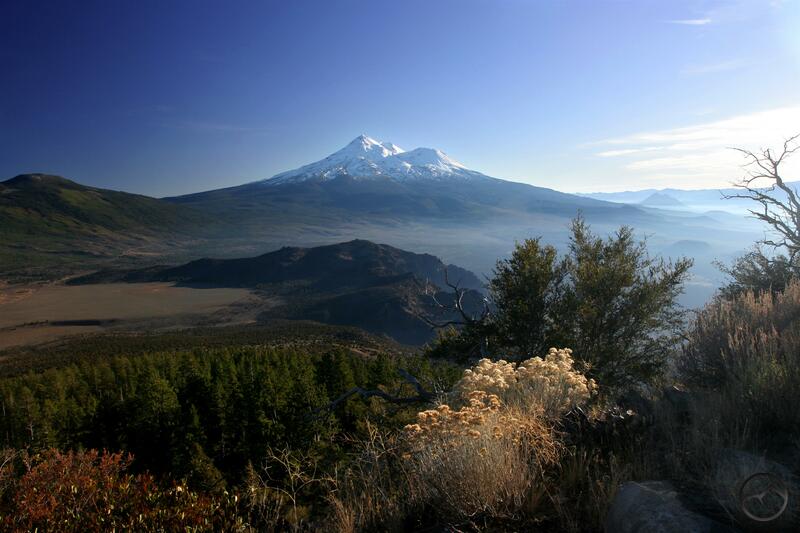 Indeed, Mount Shasta is the crown of a truly stunning mountain region. 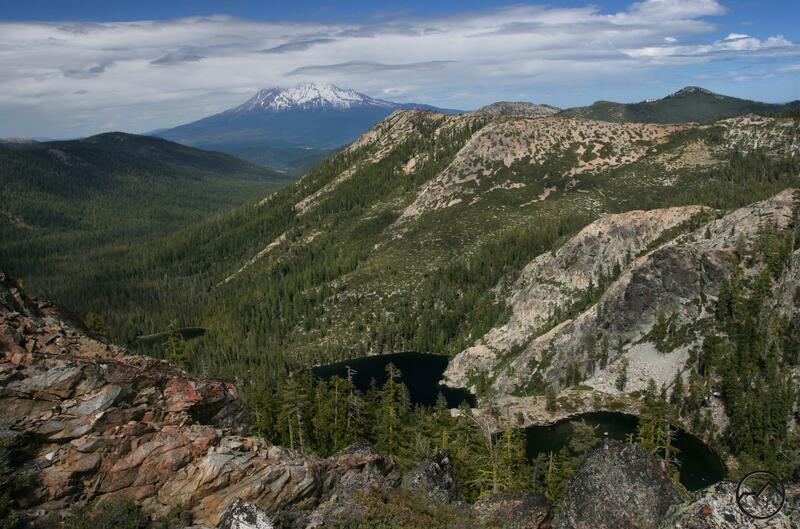 Picking the best vistas of the Mount Shasta area is a completely subjective exercise. There is plenty of room for debate as to what constitutes a great view. I tend to lean towards panoramas, where the more that can be seen the better, especially if the breadth of the view does not come at the expense of the essence of the view. That is to say that, particularly in the context of views of Mount Shasta, the overall expansiveness of the view does not detract from the view of the mountain itself. All the other scenery is crowned by the mountain and enhances it rather than obscuring it. Still, by this definition there are many, many great spots from which to appreciate Mount Shasta and the area’s other awesome geography. This is evinced by the exclusion of incredible vistas like the summits of Black Butte and Castle Peak or the iconic view from Heart Lake. The five viewpoints on this list offer great views of Mount Shasta and the rest of the geography of the area. However, what sets them apart from other vistas is the immediate vicinity of the view. It is not just that one can see a lot from these places but that the great beauty of the region surrounds these spots, with memorable sights close at hand. The viewpoints are great for both imminent and panoramic qualities. As always, if anyone is curious about details in getting to these places, feel free to send me an email. Mount Shasta and Castle Crags from the Grey Rocks. This is possibly the most obscure summit of the Mount Shasta area though it does not deserve to be. It certainly is the most difficult vista on this list to reach. The Grey Rocks are a series of craggy towers in the remote southern section of the Trinity Divide. They are accessed via a difficult scramble up the side of the towers and no small amount of “manzaneering” (bushwhacking). However, the view from the summit is one of the most rewarding. The centerpiece is Mount Shasta towering over the length of the magnificent Castle Crags. To the south are the glittering jewels of the Twin Lakes and Tamarack Lake, backed by their tall cliffs. The Trinity Alps unfold to the east while to the south rise Shasta Bally and Bully Choop down by Redding. Lassen Peak and the other high peaks of the southernmost Cascades line the horizon to the east. The Trinity Divide and Mount Eddy extend to the north. Still, it is the great cone of Mount Shasta and the awesome granite chaos of the Castle Crags that makes this vista so memorable. Mount Shasta and the Cliff Lakes. Though it lacks an official name, Peak 7,149 does not lack a view that will leave an indelible mark on those who make the easy scramble up to its summit. I dubbed the mountain “Many Lakes Mountain” because it lies at the hub of three large lake basins and is surrounded by no less than 14 named lakes and a handful of unnamed tarns. This is far more than any other peak in the area can boast, including the mighty towers in lake filled areas like the Trinity Alps. Of course, these ranges are prominently visible from the top of Many Lakes Mountain, especially the Trinity Alps which lie only a short distance to the west on the far side of the Trinity River Canyon. However, it is the views of the Cliff Lake and Seven Lakes Basin that define this vista. To the south the dark jumble of the jumble of the Gray Rocks looms above the broad Seven Lakes Basin. To the east, the terraced steps of the awesome Cliff Lakes lead down to the South Fork of the Sacramento River, which draws the eye to Mount Shasta, once again presiding regally over everything. Mount Shasta and Sheep Rock viewed from Herd Peak. Not all great views require a hike or difficult climb. Herd Peak Lookout is accessible by car and only requires a climb of about 50 feet up some stairs to enjoy the view. 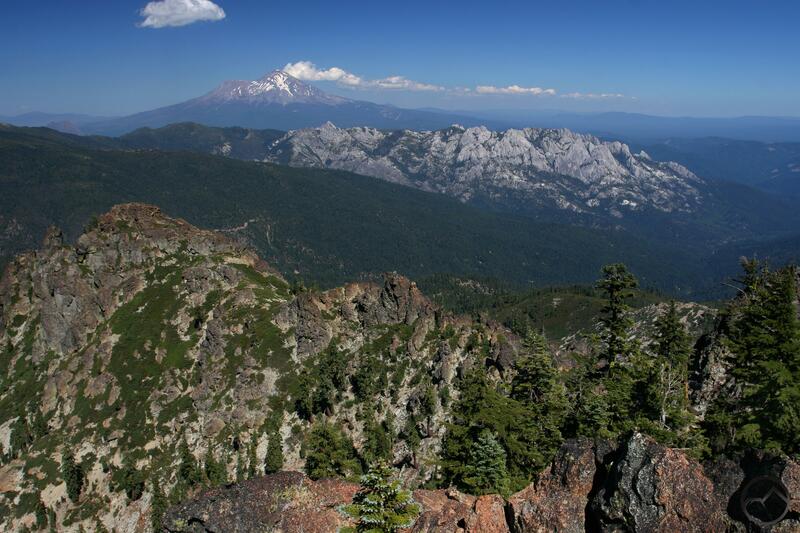 The lookout is situated on a small rock pinnacle north of Mount Shasta, at the southern end of the Cascade Crest. Possibly the best view of the north side of Mount Shasta, it also takes in much of the Trinity Divide, the Marble Mountains and the Siskiyous, including a rare opportunity to observe the enigmatic Red Buttes. The various cinder cones of the cascades pock the landscape to the east and the giant cone of the Goosenest looms ominously to the north. Still, the highlight is the chaotic layers of Sheep Rock in the foreground of Mount Shasta. The awesome Bolam and Whitney Glaciers are prominently visible from this perspective. The lookout is manned in the summer. Mount Shasta and Little Glass Mountain. Another drive-to vista, the lookout on Little Mount Hoffman near Medicine Lake just misses the top spot. It is an incredible sight with possibly the most far-reaching vista of any in the Mount Shasta area (excluding the view from on Mount Shasta itself, of course). 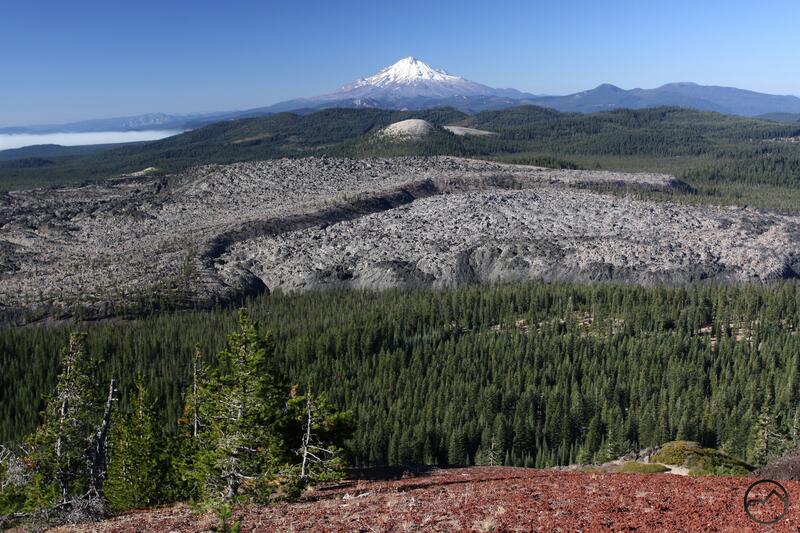 Beginning in the southeast, one can observe the entirety of Lassen Volcanic National Park, including volcanic cones just to the east in the Caribou Wilerness. Panning west from there, the view includes the vast range of mountains east of the McCloud River, the Yolla Bollies south of Redding, Bully Choop, the Grey Rocks and Castle Crags, the Trinity Alps (notably the Mount Gibson area) and much of the Trinity Divide, all of which leads up to Mount Shasta. North of the mountain lies the Marble Mountains, the Siskiyou and the Cascade Crest, including the Goosenest. Amazingly, the panorama continues. 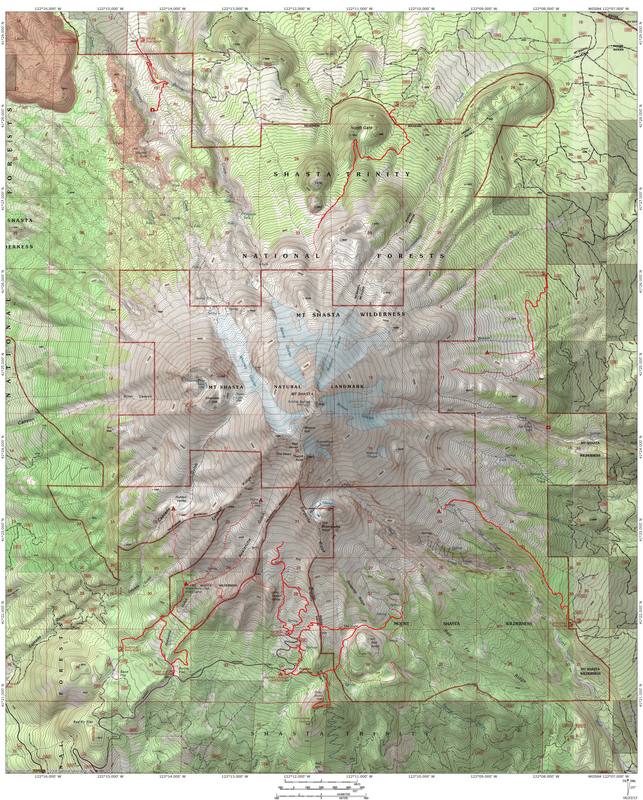 It extends into Oregon and is highlighted by Mount McLoughlin, the rounded summits of the Sky Lakes Wilderness, the old caldera of the Mountain Lakes Wilderness and the rim of Crater Lake, including Mount Scott. Even a bit of Mount Thielsen, far to the north can be observed. As incredible as this all is, it is what lies immediately to the west within the line-of-sight of Mount Shasta that inevitably draws attention. Just below Little Mount Hoffman is the chaotic swirl of the Little Glass Mountain lava flow. A vast amount of obsidian protrudes from the dark mass. Beyond Little Glass Mountain are the mysterious peaks around Ash Creek Butte. Over all of this, as always, towers Mount Shasta. Though the mountain is a bit further away than the other vistas on this list, it still looms large. An added bonus is the chance to see the rarely seen east side, capped by the enormous Wintun and Hotlum Glaciers. Mount Shasta looms beyond Mount Eddy. It is difficult to imagine a finer view than the 360 degree view from the top of Mount Eddy. The tallest of Mount Shasta’s neighboring peaks, it still falls more than a mile below the summit of the great volcano. Still, standing as tall as gives it an unparalleled view of the Mount Shasta area. All of the usual suspects are present: the Lassen area, the Yolla Bollies and the Bully Choop area by Redding. To the west nearly every major peak of the Trinity Alps’ high eastern half can be observed in all of their craggy glory. Just below the summit to the northwest are the gorgeous Deadfall Lakes. Beyond the lakes lie the red Scott Mountains, the granite peaks of the Russian Wilderness and the convoluted maze of the excellent Marble Mountains. To the north is the underrated China Mountain, the Siskiyous, Shasta Valley and Mount McLoughlin in Oregon. The Cascade Crest, topped by the Goosenest are also prominent. The entirety of the Trinity Divide lies at the feet of Mount Eddy, each peak able to be inspected with great detail. The spires of the Castle Crags, the jumble of the Grey Rocks and the folded ridges and canyons of that form the headwaters of the Sacramento River all beg to be pointed out. Despite all of the amazing scenery, it is still Mount Shasta, the lone monarch, which demands attention. Only 16 miles to the east, the great mountain seems close enough to reach out and grab.